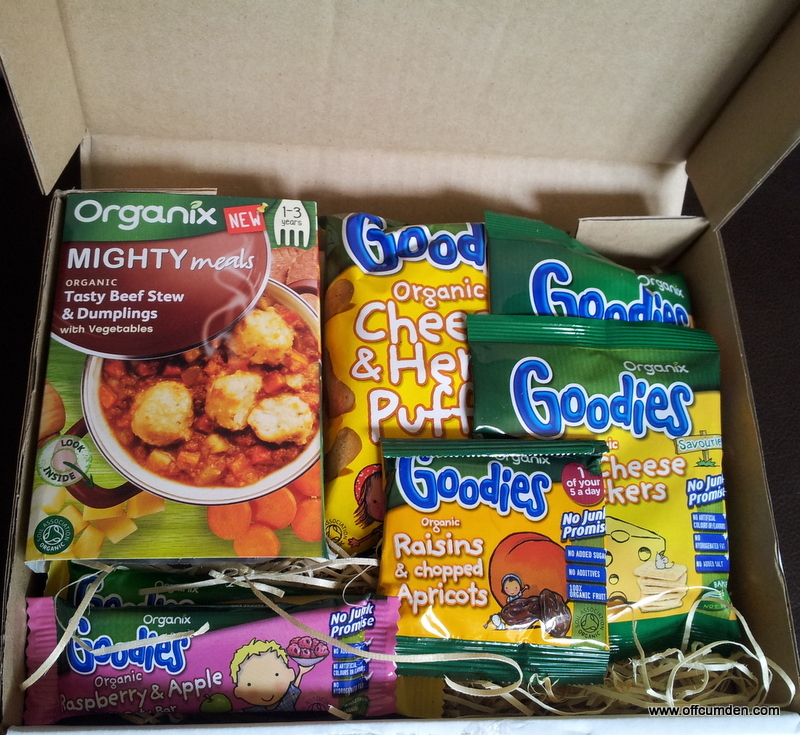 We were recently sent a selection pack by Organix to review. My children love the Organix range, so I was happy to review the pack which contained: One mighty meal, Mini Cheese Crackers and Tomato & Carrot Veg & Oat Bars, Gingerbread Men, Cheese & Herb Puffs and Apple & Raspberry Soft Oaty Bars. Thanks to our No Junk Promise our range of Goodies organic yummy & nutritious toddler snacks are suitable from 12 months and avoid added salt, processed sugars or any nasty additives. Come in and meet the Goodies Gang, enjoy recipes to make at home, fun party games, or inspire a love of fruit and vegetables with our Taste for Life programme. Great, healthy snacks which keep your little ones going until their food time. As a parent, what more could you ask for? The mighty meal is good. It is a decent consistency - not too much like baby food which I tend to find that a lot of 12 month and over foods are. The Sweetcorn & Red Pepper Veg & Oat Bars were only eaten by my daughter. My son disliked it and I have to admit that I wasn't keen either. I think they are an acquired taste! Absolutely. My children's snack drawer is already full of Organix Goodies. They are the only brand of crisps that I let them eat and they also eat the gingerbread men as if they had never eaten a meal in their lives! The only one I would think twice are buying are the Veg & Oat bars. My daughter does like them though so I guess I would buy them for her. To celebrate the upcoming 20th anniversary of Organix I am offering you the chance to win a selection pack too. There is one selection pack up for grabs and it will contain: One mighty meal, mini Cheese Crackers, one Veg & Oat Bars, Gingerbread Men, Cheese & Herb Puffs and Apple & Raspberry Soft Oaty Bars. To enter, please complete the steps through Rafflecopter below. Disclaimer: I was sent this selection pack to review and was allowed to keep it. This in no way had any effect on the review. I will always write honestly about a product.